Services like Uber and Lyft are becoming more commonplace in the 'burbs, encouraging people to travel more while driving less. 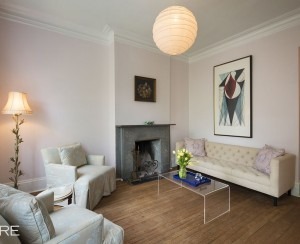 A spacious house, tree-lined streets, a quieter pace of life—and hours spent in your car, commuting to work, sitting in traffic, and shuttling the kids between appointments. 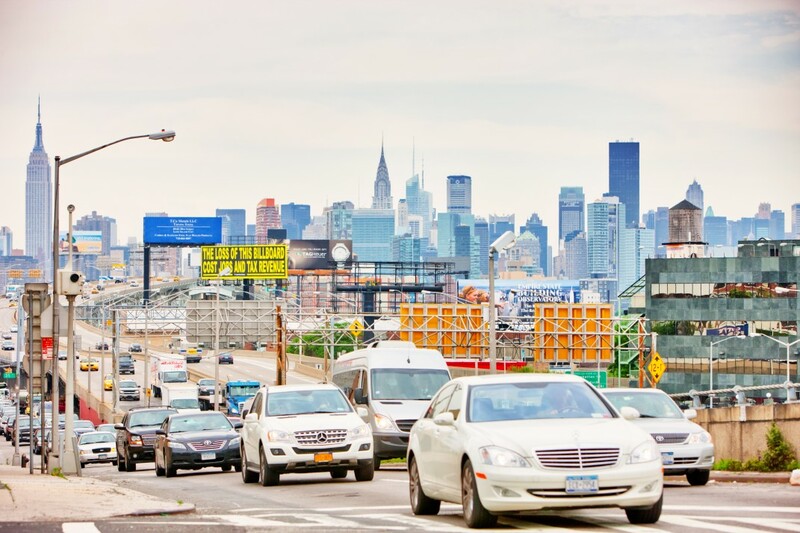 This has long been the tradeoff of the suburbs, but increasingly, ride-share services like Uber and Lyft are chipping away at the driving culture in places like Long Island, Westchester County, and Connecticut, as well as transit-starved parts of New York City. Once limited to cities, ride-share and cab hailing app companies are expanding beyond urban centers. A 2016 study from the Pew Research Center found that 15 percent of Americans in the suburbs had used a ride-hailing app (compared to 21 percent of city dwellers), and it's likely that that number has increased since then, especially in the New York City area. 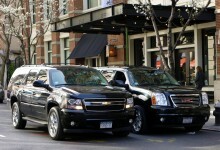 Uber is widely available in Westchester County and on Long Island, as is Lyft, which you can also get in many New Jersey and Connecticut towns. Now Uber is planning to further increase its reach in the 'burbs through initiatives like one in Summit, N.J. where the town subsidizes Uber rides to the train station for commuters. Uber and its peers have faced plenty of criticism for their treatment of drivers, their workplace culture, and their damage to traditional taxi companies, but they continue to enjoy strong public support, USA Today reports. "It has really changed the way people live," says Alison Bernstein, founder and president of The Suburban Jungle, which helps city dwellers relocate to the suburbs. We spoke to brokers and suburbanites to find out more about how. "When Uber and Lyft first started here [in Riverdale], the service was sporadic," says Deborah Camacho, a broker with Halstead who works in Riverdale and Westchester. 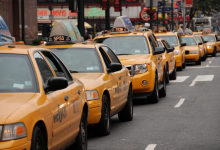 "People would just end up using a car service when they needed a cab. But that has really changed in the last year and a half. When we have to go down to our main office in Manhattan, we just jump in an Uber, and it's maybe it's $20 to Midtown." For suburbanites who rely on commuter trains to get to work, the same services can help eliminate some of the frustration of getting to the station. "I have clients who tell me that they Uber to the train station because they don't want to deal with parking there," says Caroline Hanley, a Halstead broker who works in suburban Connecticut. Hanley adds that people are also using e-hailing apps to go out for a night on the town. "I find that most people Uber when going out at night for dinner," she says. "There's no reason to drive a car, because who wants to risk getting a DUI and being in the local paper?" Looking at Uber and Lyft's long-term game plan of replacing drivers with robot cars, the Regional Plan Association writes that driverless cars in the suburbs could help to ease congestion, cut down on crashes, and reduce the need for parking. The RPA calls the program in Summit "a trailblazer in addressing the challenges of the shift away from vehicle ownership." Many New York City families head to the suburbs in search of more space, and less schlepping, only to find themselves tied to their cars, driving children to and from school, play dates, and other appointments. "That's the number one complaint for my friends with kids: Life is just spent in the car," says Jamie Stellini, a longtime Queens resident who recently moved with her husband and two children to Long Island. "You're never in any one place for long enough, so you have to just stay around for 20-30 minutes and then you're back in the car. If you have more than one kid, it's a lot to figure out if events conflict." Some suburban parents are now using ride-share services to offset their own driving duties, according to our suburbanite sources. "Kids have a newfound independence at a younger age," Bernstein says. "Parents used to be stuck driving them around until they turn 17 and get their licenses. Now they can Uber to friends' homes." Parents, by extension, gain more free time this way. The same principle also applies to elderly people who can no longer drive, and for people of any age who'd rather not drive during bad weather—or drive at all. In fact, Bernstein says, some suburban couples are ditching the classic two-car garage set-up, opting to have only one car, and theoretically save on insurance and parking costs. New Yorkers chasing affordability in the outer boroughs often turn back when public transit options get scarce, but that's beginning to change, we're told. "I’ve personally seen people branch out more to Queens because of cheaper rents in areas like Maspeth and Ridgewood, and areas deeper into Queens like Kew Gardens and Briarwood, because it’s now so easy to pay a couple bucks for a ride to a train," says Eva Nowakowski, a broker with Citi Habitats. And in Brooklyn, more residents in neighborhoods along the L train corridor may stay put even after the train line shuts down temporarily for repairs to Sandy damage, because ride-sharing options are plentiful, Nowakowski says. "I've noticed people start to calm down about it quite a bit because they have services like Lyft and Uber to use as a backup along with the MTA contingency plans," she says. That first transition from the city to the suburbs is a major one, and Camacho says that for the buyers she works with who are leaving Manhattan, transportation is one of their top concerns. "Buyers from the city come up on Metro-North and we'll start driving around and I can see this look of mild terror on their faces," she says. "They ask me, 'Do you drive everywhere?' Then I'll say, 'Don't worry, we have Uber.' And they pull up the app and are like, 'Oh, I can deal with this.'" Could the expansion of services like Uber transform the identity of the car-centered suburbs into something more citified? A 2017 study by transportation researchers from the University of Michigan, the University of Texas, and Columbia University found a strong correlation between the availability of Uber and personal car ownership. When Uber and Lyft were suspended in Austin, Texas, the researchers surveyed residents about their subsequent travel behavior. 42 percent reported switching to another "transportation networking company," (that is, Uber-like services), while another 41 percent said they used their own cars instead. "These results suggest that TNCs [like Uber and Lyft] may contribute to reduced car ownership and trip making," the study's authors write. Though Austin is a city of almost a million people, it does not have an extensive public transit system, so the study's results suggest a similar move away from car ownership could be possible in the similarly car-dependent suburbs. For Jamie Stellini, this kind of shift isn't obvious yet, but ride-share services do seem to be changing entertainment and nightlife on Long Island now. "I'm not feeling it on the street yet," she says. She and her husband sometimes use e-hailing apps when they have a "logistical hiccup," but primarily they use them when they want to go out at night, something that she says more businesses on Long Island are becoming attuned to. "It's got some staying power, the middle-aged ladies day drinking and going out at night thing," she says. "I'm surprised brokers didn't mention it when we were looking, because it could have been a selling point. Sometimes it's easier to get an Uber here than it is in the city." 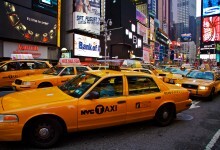 Uber, Lyft, Gett, Juno, and Via: Which of these 5 NYC taxi alternatives is right for you?